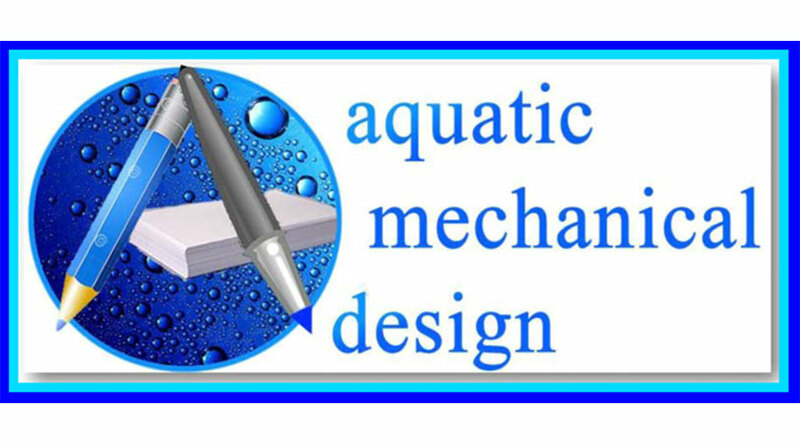 Thank you for the opportunity to discuss your upcoming swimming pool design requirements. 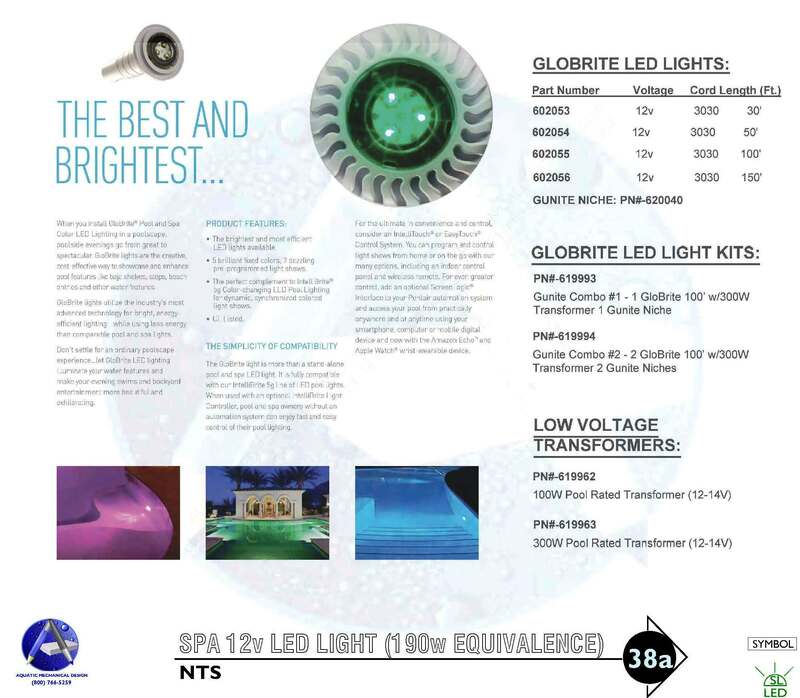 This web-page has been provided as an complement to our proposal / quotation for more easily viewing the related information. It outlines an organized approach for what shall be necessary in describing a code compliant construction intention on your plans and specifications. We start with identifying which of the individual planning sheets (referred to as our P-Sheets and PD-Sheets) shall apply from a listing that follows a numbering order from P-1 to P-40 for Plan Layout sheets and PD-1 thru PD-40 for Plan Detail sheets. 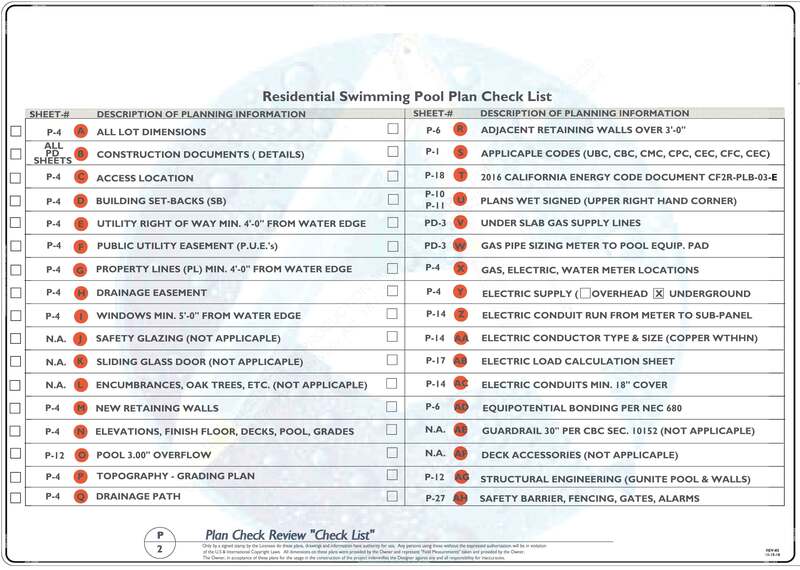 Because our form covers both Commercial and Residential swimming pool planning, we indicate a “YES, NO or N.I.C.” in the appropriate cells boxes that shall identify the specific sheets that are applicable beside the selected sheet titles. The Red Font and comment Provided By Owner (PBO) identifies the sheets that are typically supplied by the property Owner and will be required in order to prepare plans for the building permit submission. This displays a common source for understanding at a glance which design implements are being supplied by each party. 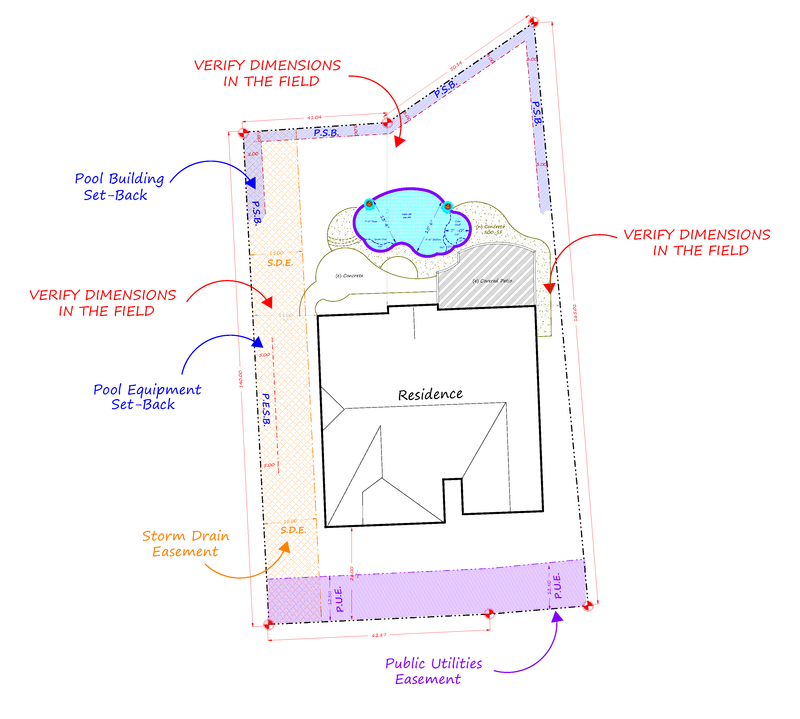 In submitting plans that are intended to provide directions for the installation the plans and specifications MUST exhibit how a code compliant installation is going to be installed. Therefore in preparing and organizing the exhibits for the necessary information it is crucial to make it easily review-able by building department officials in order to pave the way to a smooth transition for gaining approval. 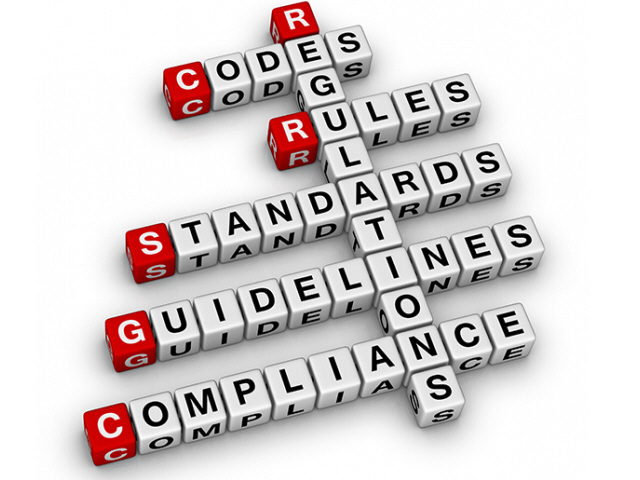 Our plans follow the local official’s (Plan Checkers) guidelines concisely thus, making for an efficient critique of what is to be shown as required for achieving code compliance. There can be multiple departments within one official agency, which can have responsibility for reviewing and approving separate portions of the plans. Our approach to planning is to be familiar with the guidelines to follow for each jurisdiction and department. 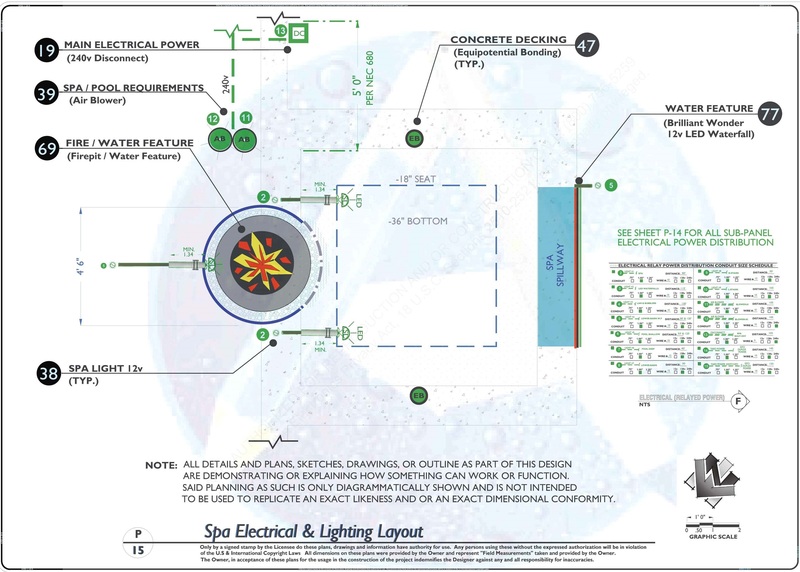 We communicate our planning intentions by making references to component specific “Construction Detail” exhibits for what is intended as being code compliant. 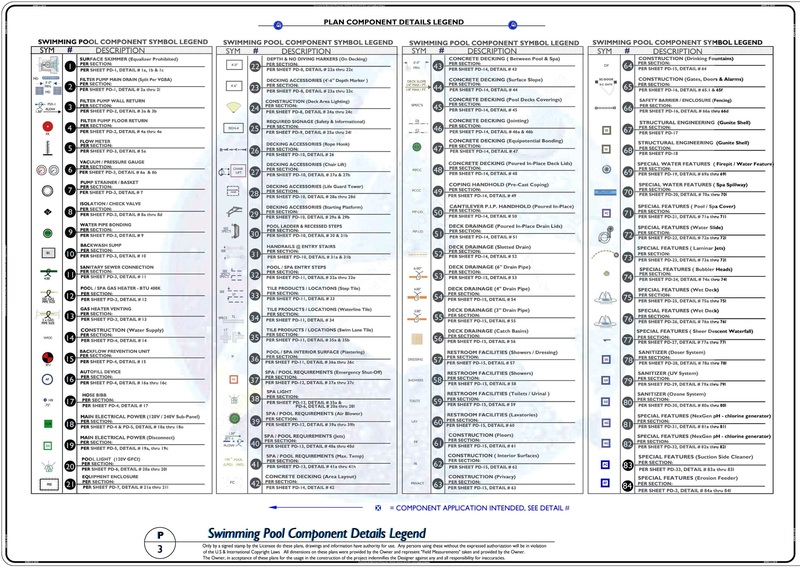 The index referencing resource is on our P-3 Sheet Detail Legend & Symbol Index, yet many of these planning compliments are not required in seeking official building permit approval. 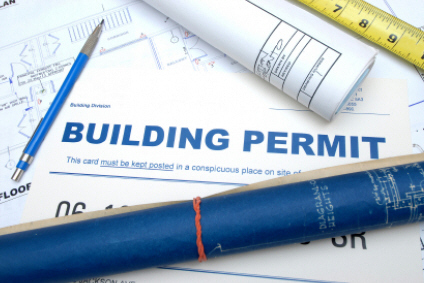 Permit Ready or Owner Builder…? Depending upon which level of planning you have chosen to engage your proposal will either exhibit just what shall be necessary for the permit submission or the additional information that can help to guide your selected performers towards a common sense approach and a common logic for answering quality control questions. 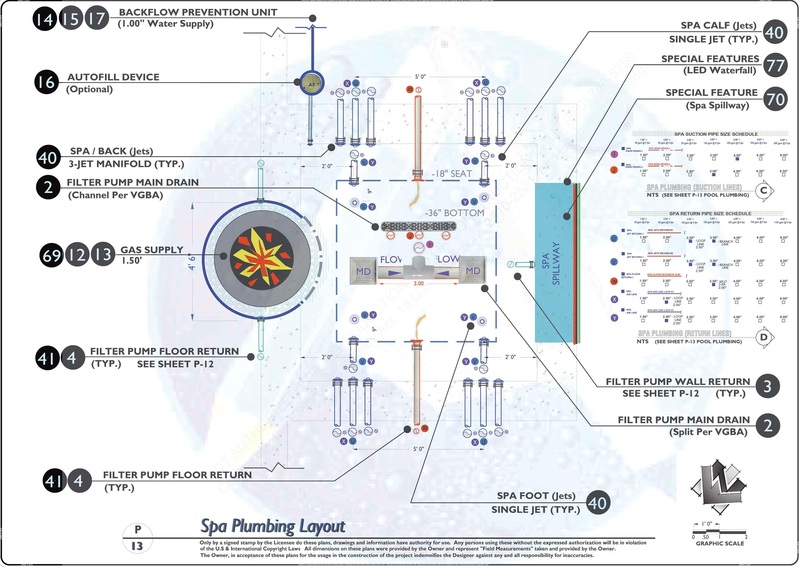 These references are assigned both specific “SHEET-#” numbers where the layout information is to be found on plan, as well as the “DETAIL-#” numbers, which shall pertain to many of the specific questions that may need further clarifications for the desires for achieving a 1st class standard! After gaining approval to build by officials the plans will then become one of the most effective tools for getting comparative analysis (Bids) and receiving back HARD NUMBER ESTIMATES. 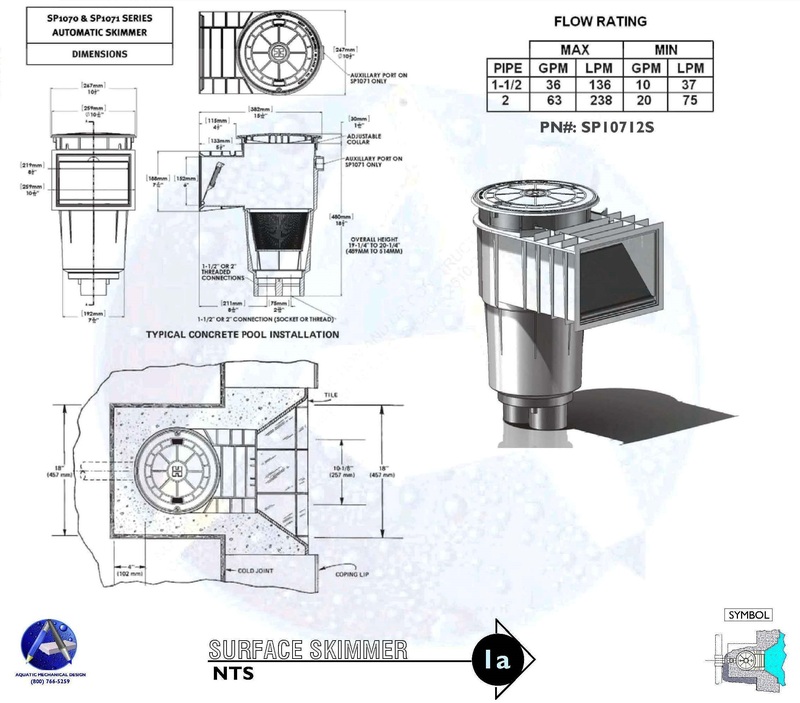 When the Layout, Excavation, Plumbing, Electrical, Structural, Plaster, Concrete and Equipment are all spelled out in black and white indicating the products, manufacturers and installation protocols, well it eliminates the gray matter that might otherwise cloud a clearer understanding for the perquisites of success.